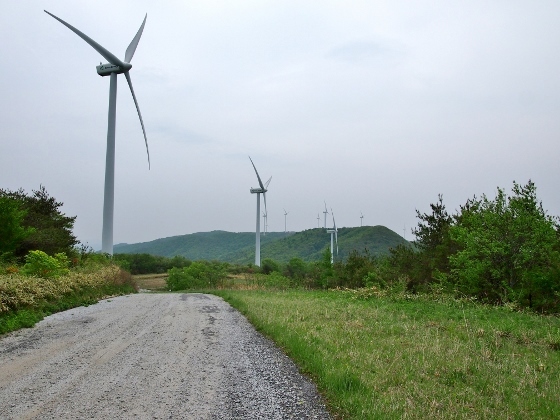 The wind farm was located near the top of Abukuma Heights the altitude of which was close to 900m. 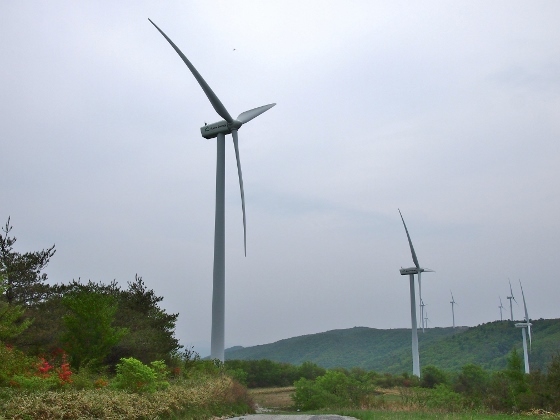 There were 23 wind turbines of 2MW each and the total 46MW of electricity which was equal to the load of 30,000 households was generated. 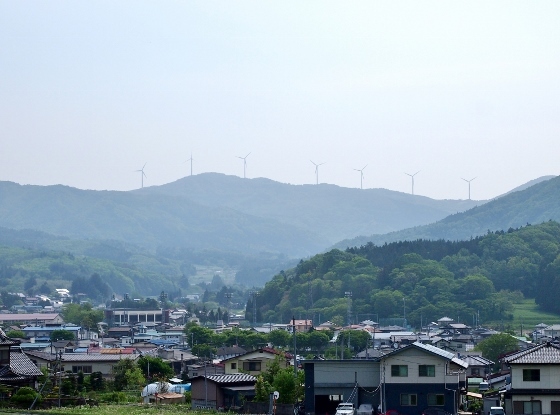 On the way I could see the wind turbines far on top of the Abukuma Heights from near the town of Takinemachi as shown above. The location was red asterisk 1 in the map. Since it was cloudy today the view was pale. 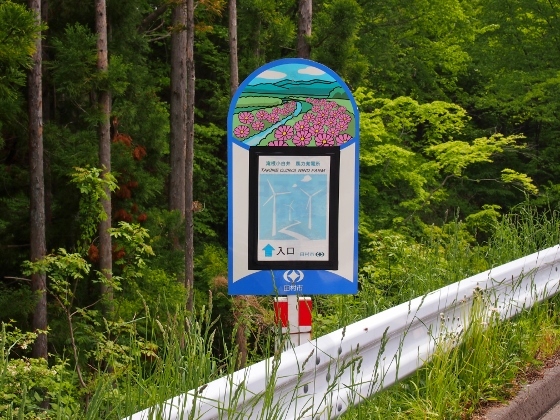 I found a guide panel for the wind farm on the local route 36 at the branch for left. The location was red asterisk 3 in the map. Above photo shows a view from the road on the way. 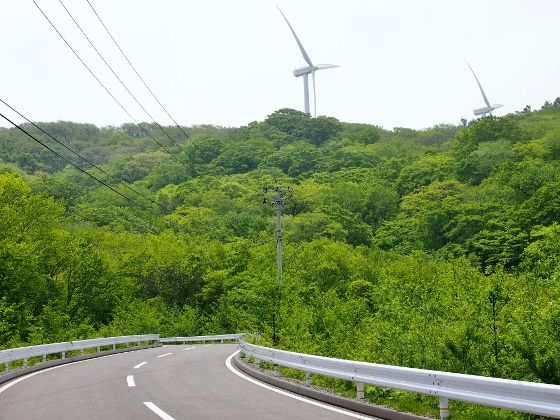 I could see large wind turbines surrounded by fresh green leaves. The road was paved and new. 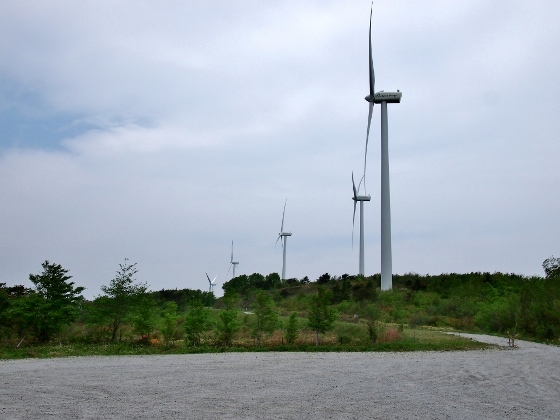 The photo above shows great wind turbines in line at the entrance. Paved road ended here. There was a large beech tree at the same entrance area. 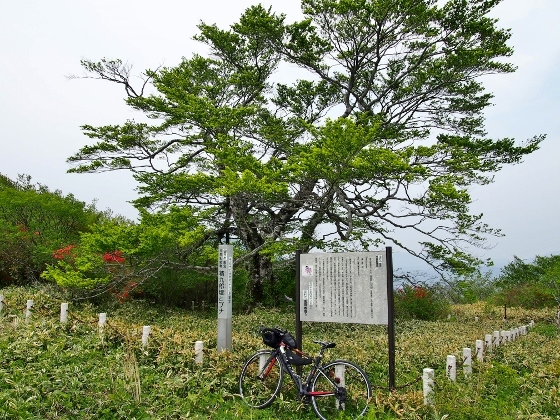 It had been declared natural monument of Tamura City. I could see some red wild azaleas in full bloom. 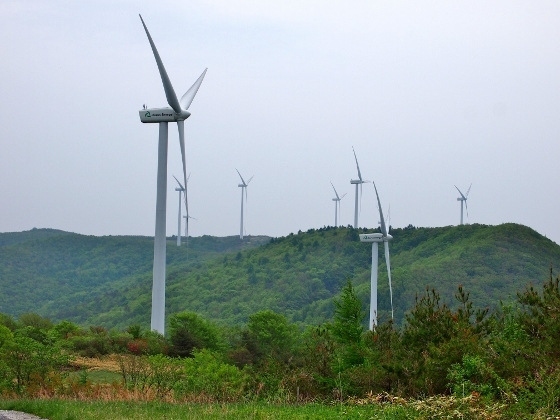 The huge wind turbines were spectacular view as they lined up on the ridge between Tamura City and Kawauchi Village. 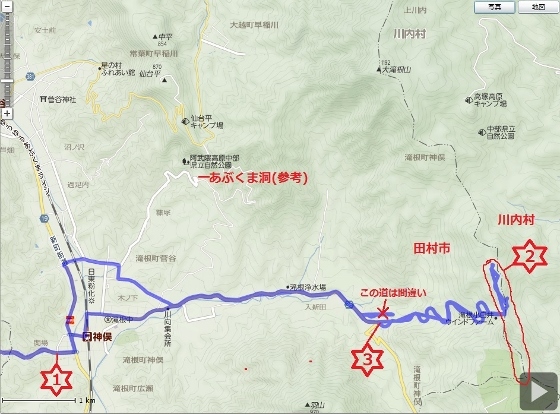 The area was shown as red asterisk 2 in the map. The wind was very strong here today and all the turbines were in full rotation.